20% Off Everything in the Store through Sunday April 28! 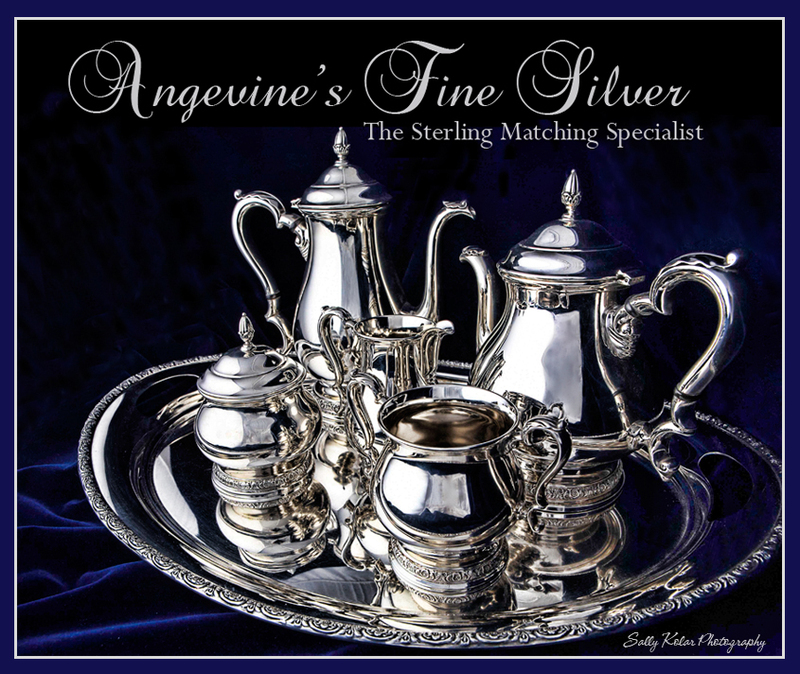 1 888-859-0250 Angevine's Fine Silver Inc.
East Central Florida’s largest sterling silver matching service! Sterling Silver gift items are now available for online purchase. Finding unique ideas and products can be difficult for many. Here at Angevine's Fine Silver Inc., we create and provide the finest fine silver gifts for all occasions and events. We hope that you find our collections to be exactly what you've been looking for. Coupled with our online store, we also have silver shops located in DeLand, Florida and Augusta, Georgia. Our goal is to provide gifts that can be passed down from generation to generation. Angevine's Fine Silver Inc., makes creative and precious products out of fine silver. We have hundreds of items to choose from, all made from quality materials that will last a lifetime. Our beautiful products will be sure to put a smile on the recipient's face. Our collection includes baby items, charms, antique flatware, Christmas ornaments, letter openers and jewelry. Our jewelry and charms come in a variety of styles and sizes to suit everyone’s needs. We have a number of baby items and Gorham silver Christmas ornaments to choose from. Look into our keepsake baby items and gifts; we have cups, spoons and boxes among many other silver items. Thank you for visiting our website, and please also take advantage of our stores in Georgia and Florida. We hope that Angevine's Fine Silver Inc. has everything you’ve been looking for. Please feel free to browse our collections of fine silver products and contact us with any of your questions. Our prices are competitive, but the quality of work we produce can’t be beat. We look forward to hearing from you and providing you with something really unique and original.